Masters degree in Mech. Eng. 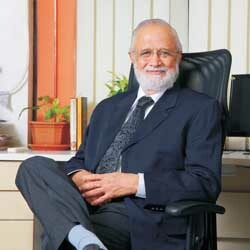 S. R. Pophale, one of the founder directors of the Electronica Group, holds a Masters degree in Mechanical Engineering from College of Engineering , Pune. He has been the backbone of the group in developing its strong marketing and financial strengths as well as steering the groups horizontal expansions into different business lines. Capping his several achievements is the UDYOG RATNA Award in the category of large group of industries presented by STICE (Sinnar Taluka Industrial Co-operative Estate) Sinnar Nasik. Mr. Pophale is a man of many skills and is widely traveled both in India and abroad .He is one of the most well read Top executives in the Industry today and has been actively involved in infusing new philosophies and concepts both at workplace and into the personal lives of people around him. Associated more than 17 Years in various group of companies of Electronica Group. Mr. Sujit Natekar - An Alumnus from MIT College Pune University. He holds the bachelor degree in Civil Engineering. After completing his engineering in his initial years of career, he was working in a family business of manufacturing Non-ferrous centrifugal castings. Later in the year 1999, he joined Electronica Group. He has been working in various group companies of Electronica in various capacities such as CEO of Plastic Machinery business, Director of EDM and Carbide business and Sheet Metal Business and he has been working with Electronica group for more than 17 years. 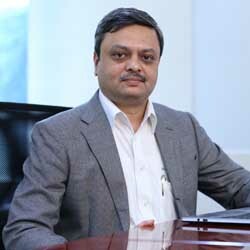 He has taken over as Managing Director of Electronica Hitech Machine Tools Pvt Ltd w.e.f. 1st April, 2010. He has extensively travelled across the world and has vast experience in manufacturing, Supply chain Management, Finance, operations & sales Management. Under his leadership Electronica HiTech has introduced many new Principals for the business of marketing, sales and after sales services for CNC Machines in Metal cutting and Metal forming machines and recently has established state of the art manufacturing facility for manufacturing of CNC Wire cut EDM and ZNC EDM machines. PGDBM in Marketing, Finance from Symbiosis Institute of Management Studies and M.A Economics from Pune University. Currently associated with us as Director Marketing and HR. Mrs. Mugdha joined the organisation in 2004 after completing her PGDBM in marketing and finance from Symbiosis Institute of Management studies and M.A Economics from Pune University. Her published research papers indulge variety of topics like Telecom, International marketing, Market analysis & Branding strategies. She was initially looking after the marketing support activitiesfor the overall group. 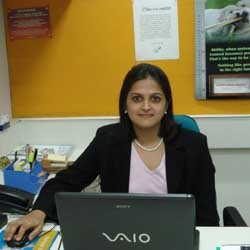 Because of her keen interest in HR she then took the charge of company's human resource activities. She has also acquired hands on experience in sales and developed the business of Crimping Machines in initial stage for more than 2 years. Currently she is looking after SRP Electronica group's marketing and branding activities as well as taking care of newly started Business AMIGOS and is currently associated with us as Director Marketing and HR.